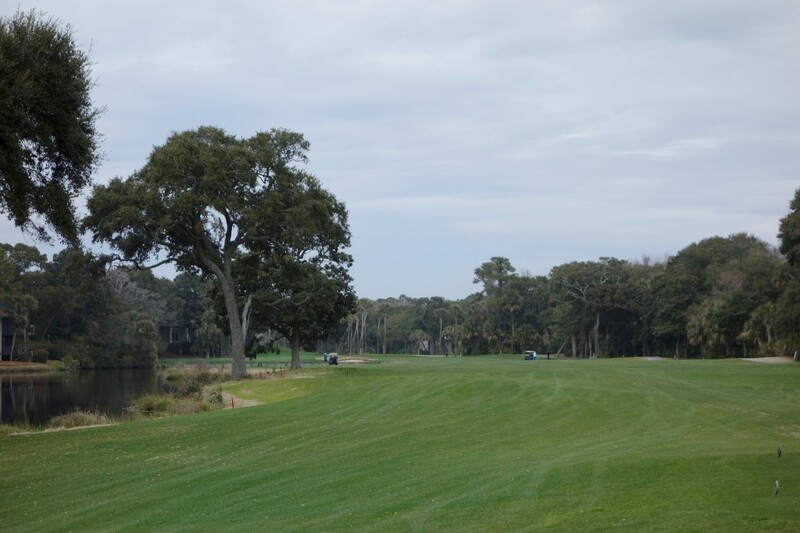 Now that I have posted reviews of the two private Kiawah Island Club courses, it is time to begin slowly ticking off reviews for the five public Kiawah Island Golf Resort courses. 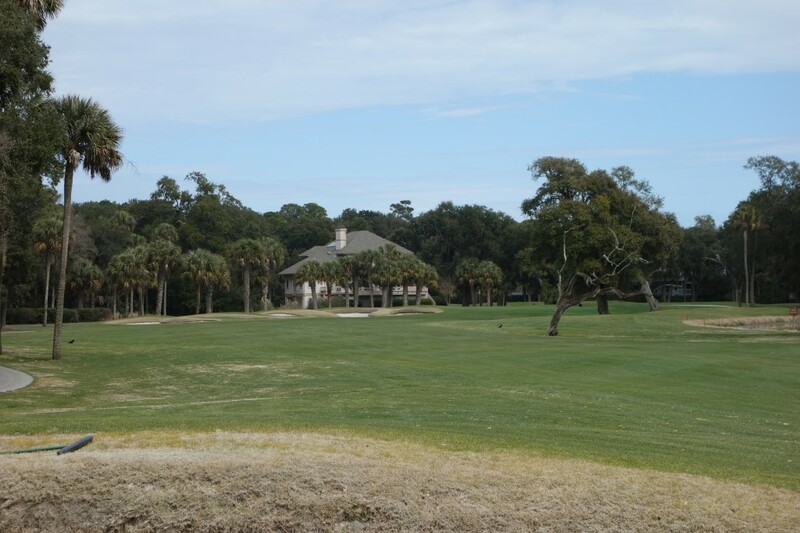 Many golfers consider Turtle Point to be the number two resort course on Kiawah behind the formidable Ocean Course. 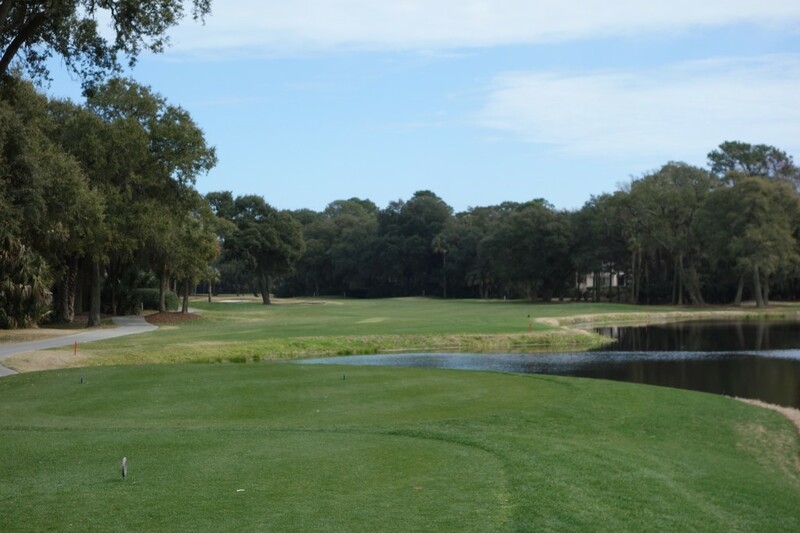 Turtle Point has hosted a slew of regional golf tournaments including the Carolinas’ Amateur, the Carolinas’ PGA, the South Carolina Amateur and the 1990 PGA Cup Matches, which is the club professionals version of the Ryder Cup. 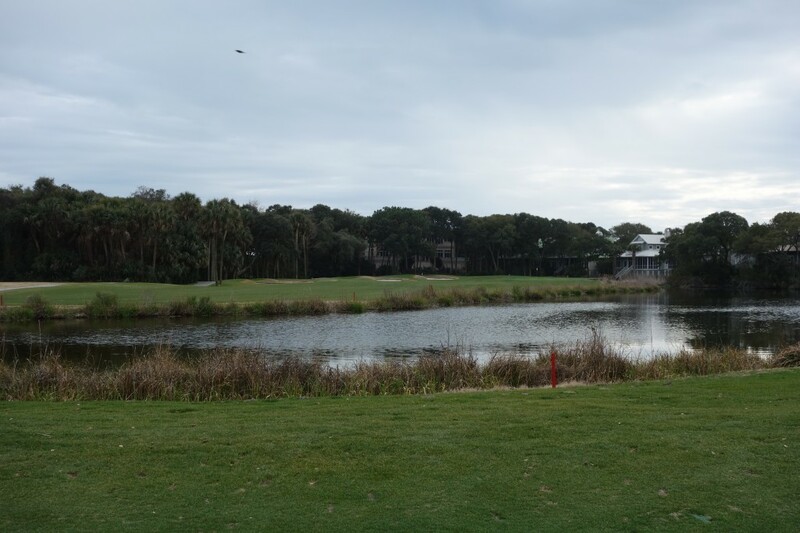 Kiawah Island Turtle Point was one of Jack Nicklaus’s early course designs. 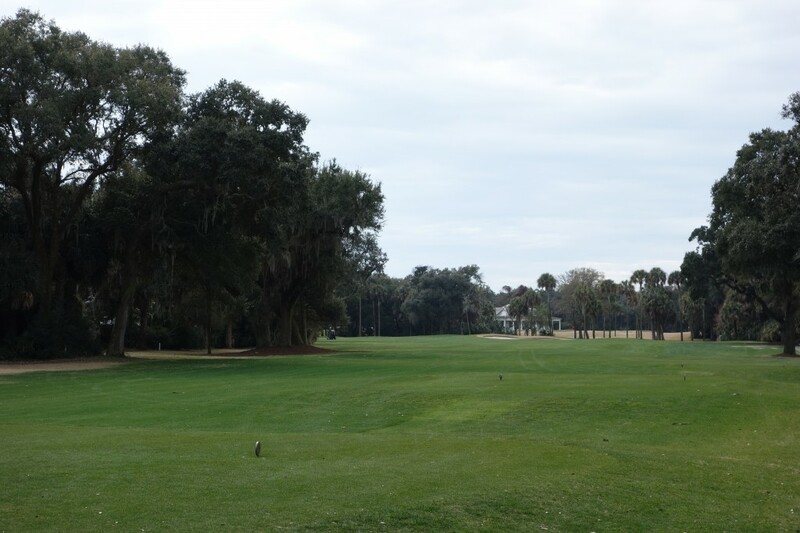 The fairways are narrow in many cases and the greens are fairly small throughout the course. Homes line nearly every fairway, meaning OB borders the course on most sides. 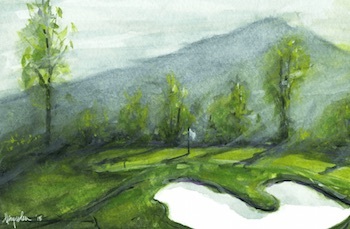 I have a hot and cold relationship with Nicklaus designs… I really like some of his courses, such as the Reserve at Lake Keowee, and then I find others to be fairly bland, cookie-cutter designs. 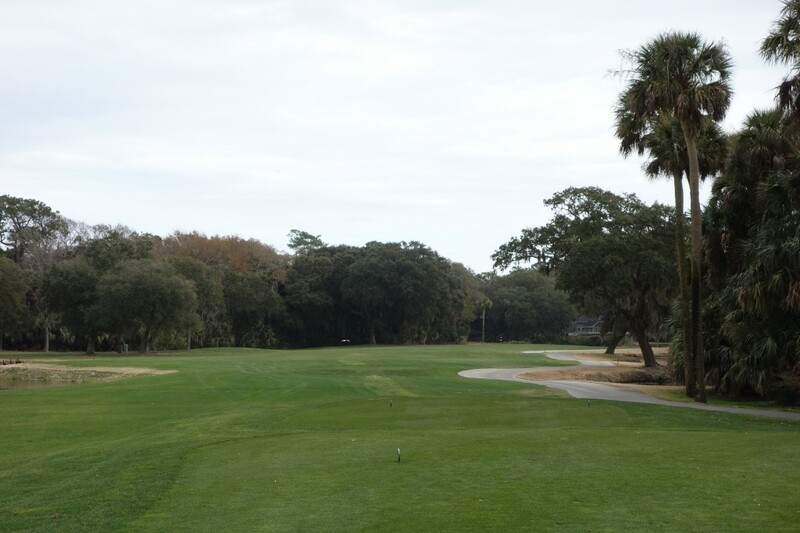 To quote from the Nicklaus design website, “380 Nicklaus courses are open for play, 290 of which were designed by Jack.” With that many courses under the Nicklaus name, there are bound to be a few low points. 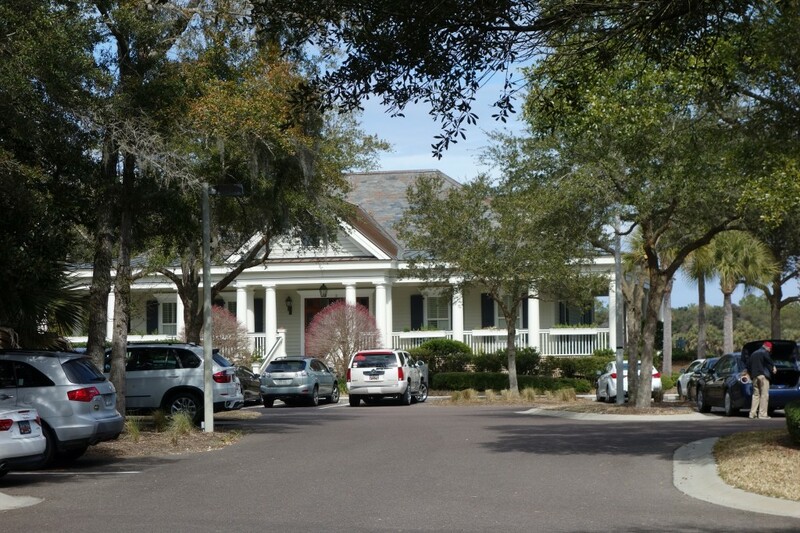 In my very limited experience at Nicklaus courses, I’ve experience more lows than highs. 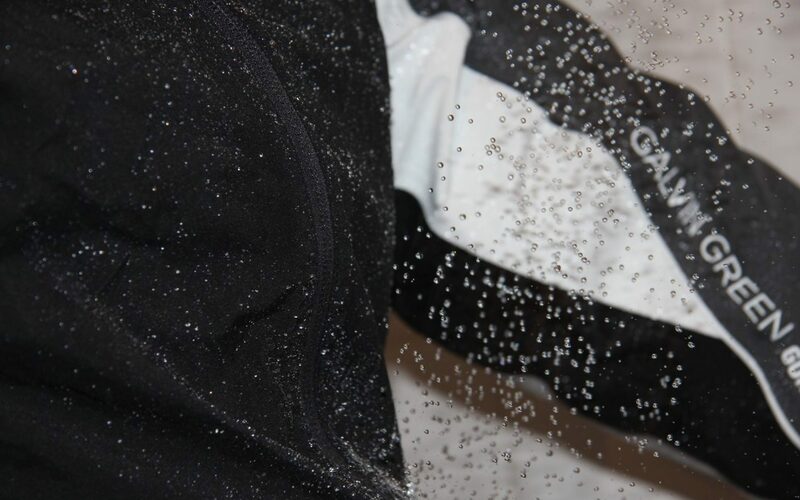 What has your experience been with Jack’s designs? In order to “peer review” my opinion of the course, I asked around for friend’s opinions on the course, even soliciting answers from the world of Twitter. 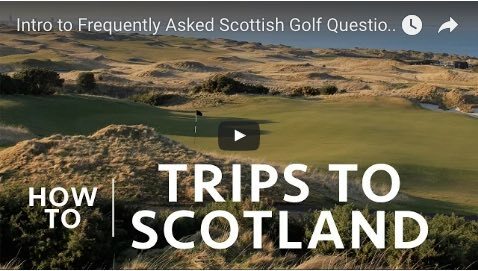 The majority of answers included phrases like, “typical Nicklaus resort course,” and “3 beautiful seaside holes with 15 average others.” The best answer, however, came from my Scottish friend Scott Gill, who answered with a perfectly measured British response. 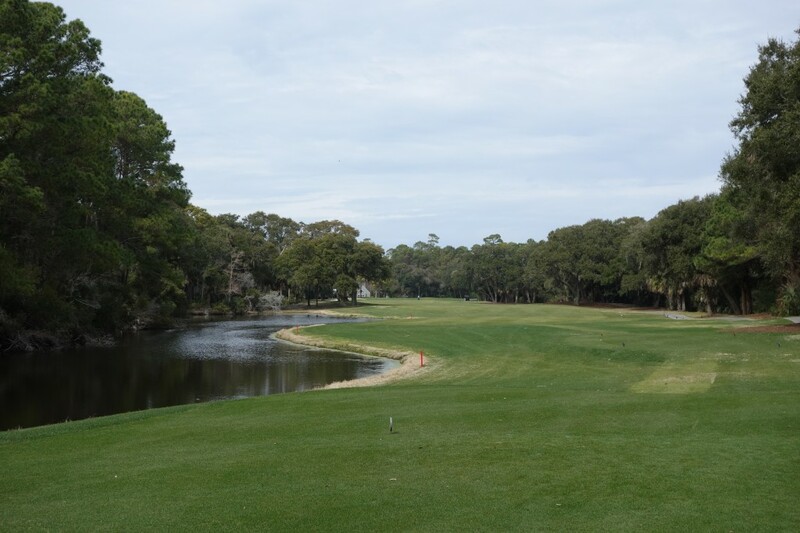 He described Turtle Point saying, “From what I recall, it’s what you’d expect from a Nicklaus resort course – pleasant with a few memorable holes but nothing special.” “Pleasant” is a great word to describe the course. 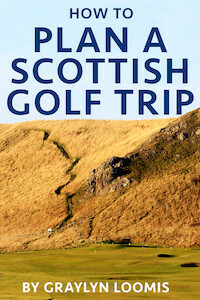 It is a very nice walk, but most likely won’t be in your list of best courses played. My latest round at Turtle Point occurred in late February, and as you can see in these photos, the overseeding on the course looked great. The greens were bumpy in areas, but nothing too bad. One of my pet peeves is paying top dollar to visit a course only to find that the greens have recently been aerated. 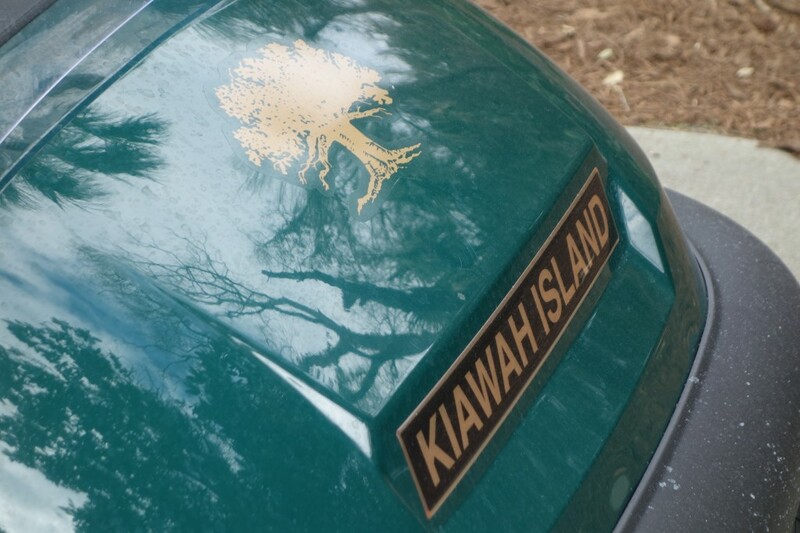 Kiawah Island Golf Resort posts the aeration dates on their website, allowing you to plan around this course maintenance time. 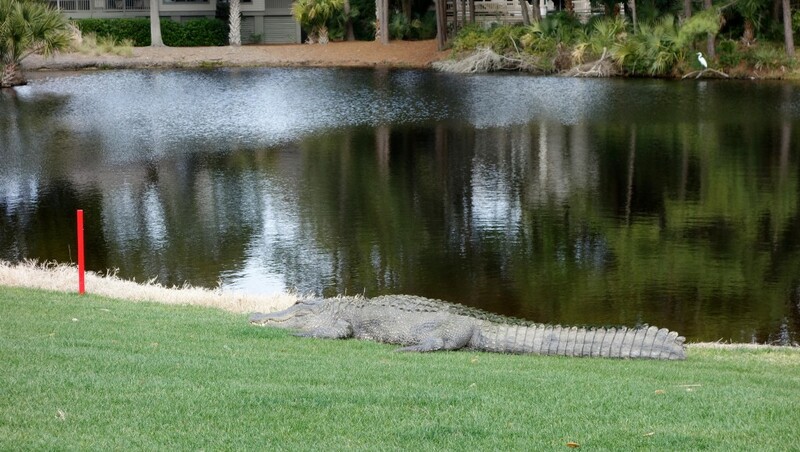 More resort courses should do the same! The first hole is a straightaway par 4. The best angle into the green is from the right side of the fairway. An overhanging tree blocks shots from the left, as I found out firsthand during my round. 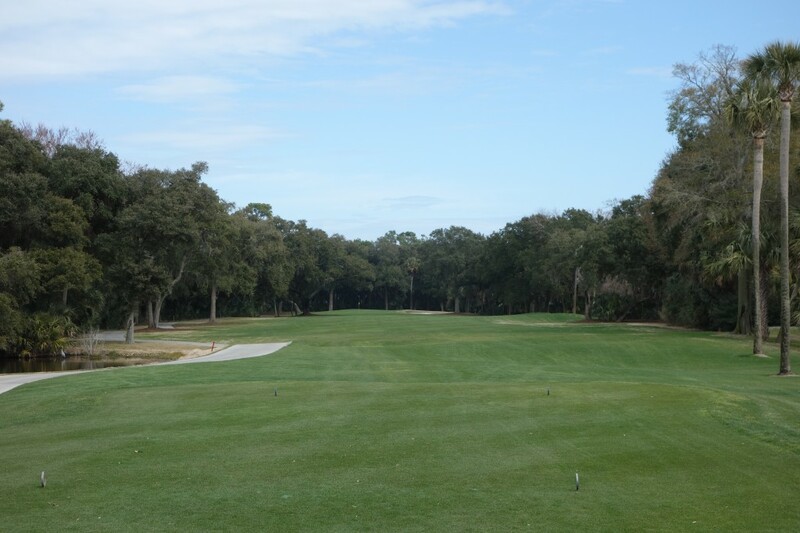 Hole #2 – 513 yards The second hole is a double dogleg, moving left at first before moving back to the right. Unless you are a very big hitter, there is no need to try and cut the corner from this tee. 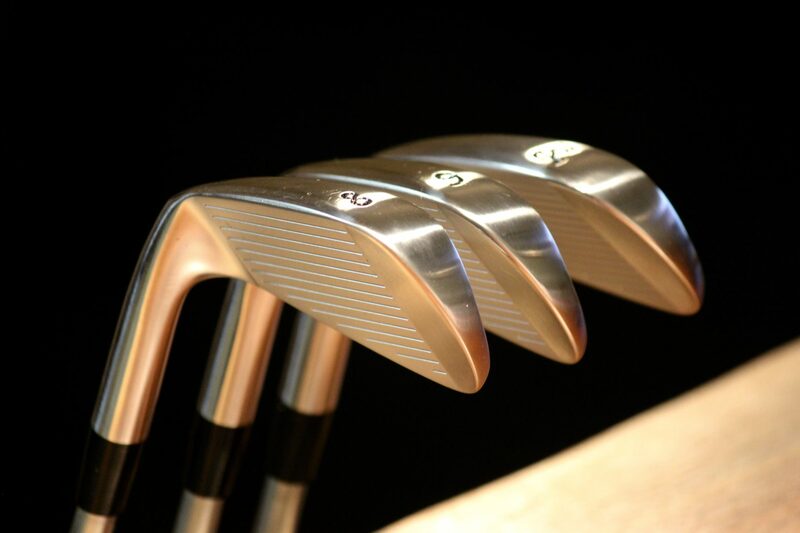 Aim down the right, lay up, and try to hit a wedge in close. This is not a driver hole. 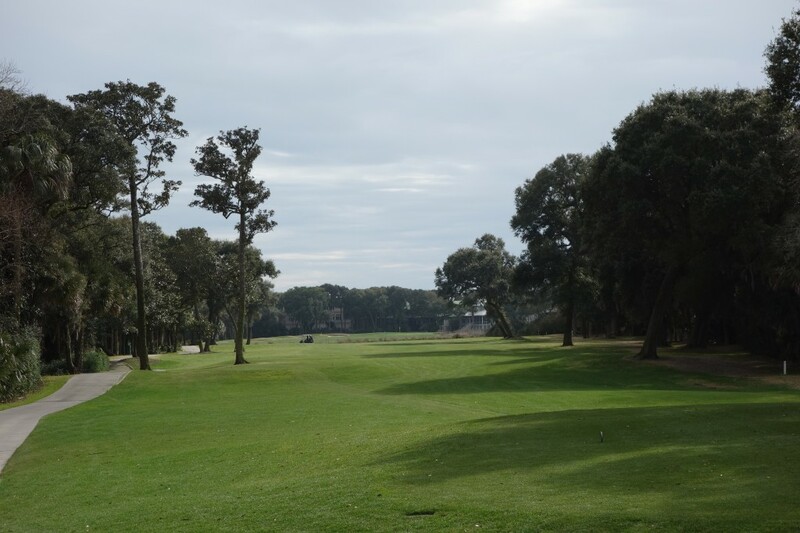 The fairway narrows in the landing area, pinched between trees and a lake. The green is fairly large, allowing for a range of pin placements. Hole #4 – 188 yards I liked the use of the big sandy waste area on this par 3 rather than an unnecessary patch of grass. Bunkers are right of the green, leaving short left as the best miss. Hole #5 – 505 yards The water down the left side of this hole shouldn’t come into play for anyone but very short hitters (or those who snap hook the ball). 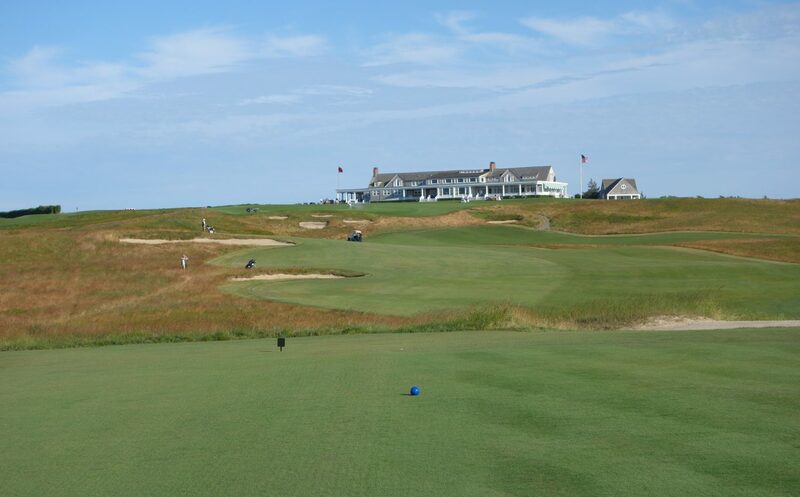 A drive down the right opens up the hole for longer players trying to reach the green in two. 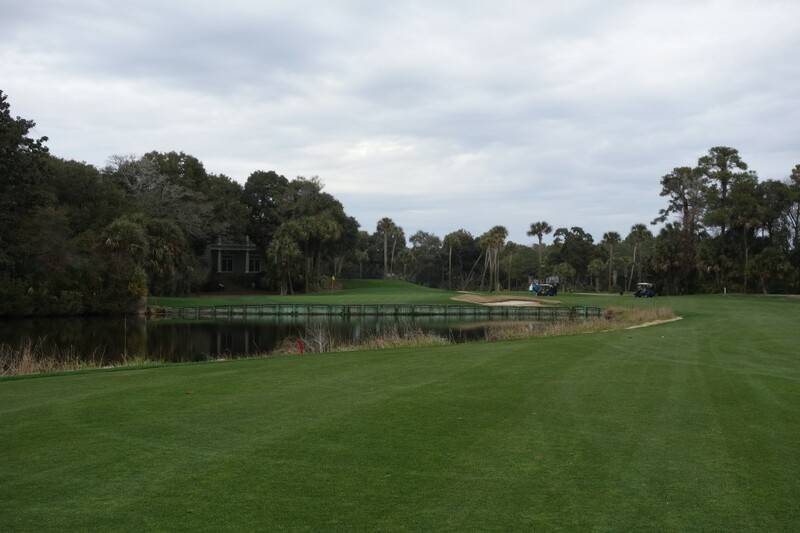 Hole #7 – 169 yards I found the par 3 7th to be the better of the two par 3s on the front nine. Bunkers guard the undulating green, which is framed by large oak trees. There is a sense of risk and reward with this shot. 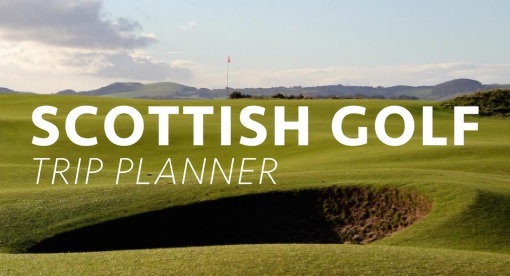 Going at the pin brings the bunkers into play, while out left is safe, but leaves a very long putt. 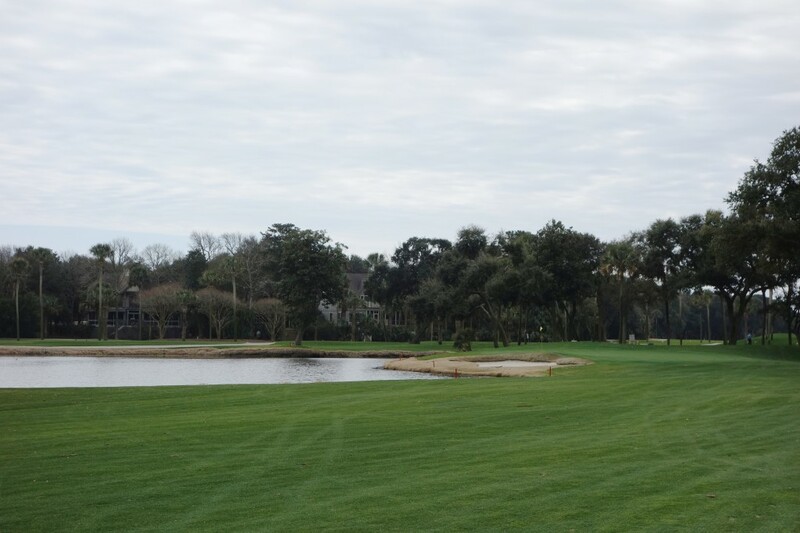 The final hole on the front nine is a dogleg left, featuring a lake left of the green. It is another hole begging you to aim right at the flag. Smart money aims center of the green and hits a slight draw to this pin placement. 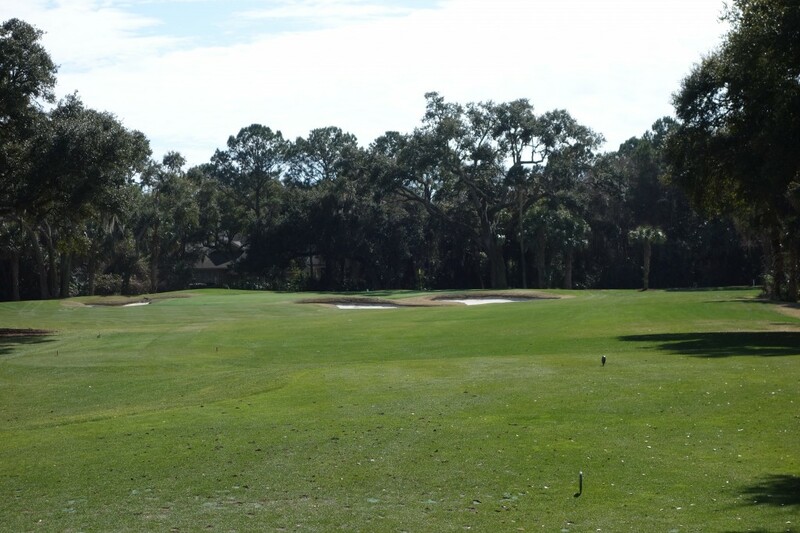 This short par 4 only requires a hybrid or wood off the tee, leaving a short iron into an uncharacteristically large green. The lake in front of the green only comes into play if you make a serious error. 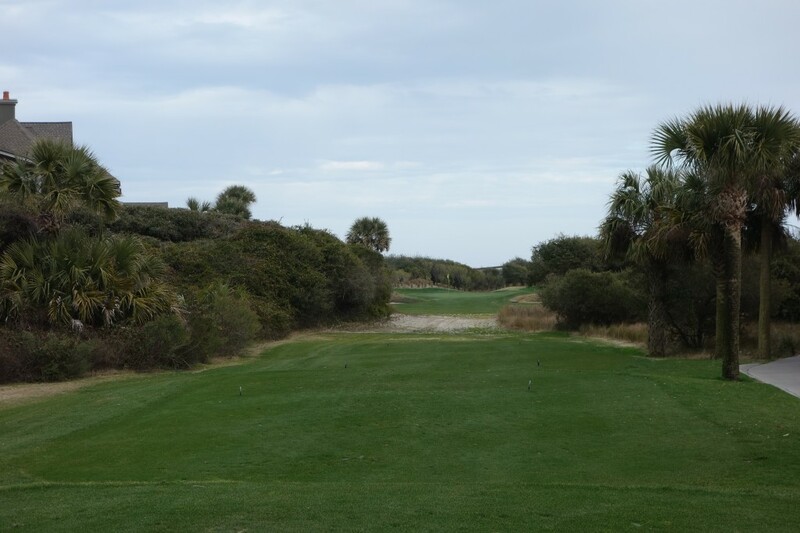 Hole #13 – 497 yards You begin to hear waves crashing on the beach from this tee box… It certainly builds excitement for the holes to come. This hole is short enough for longer hitters to reach. However, missed shots are swallowed up by the lake. When golfers say that there are three memorable holes at Turtle Point, this is the first of the three. 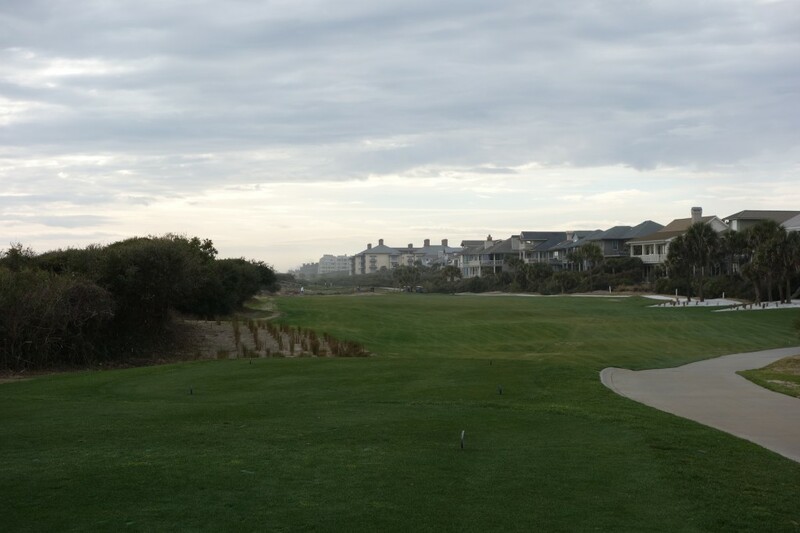 Is is a straight away par 3 and you can hear the waves crashing on the beach just right of the hole. 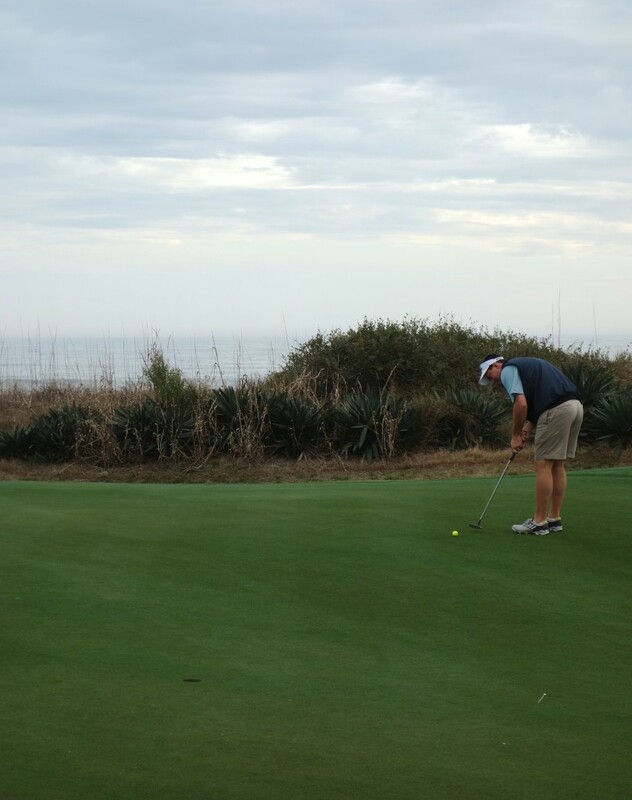 Unfortunately, you cannot see the beach from any point on this hole. 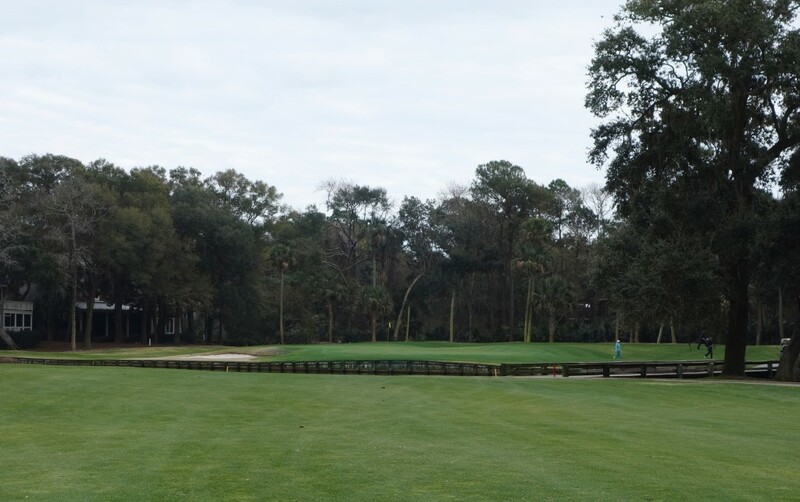 You have to walk up onto the bank right of the green to see the view in the photo above. You can only see a sliver of this green from the tee, building anticipation to see your ball’s fate as you approach the green. 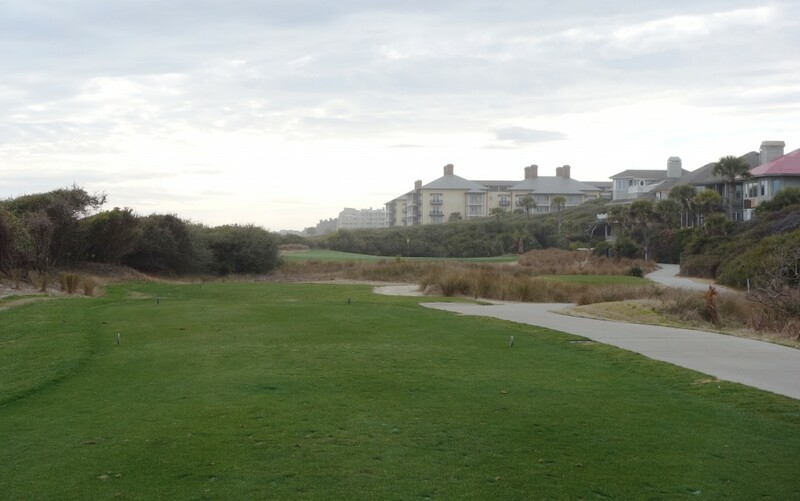 Hole #15 – 347 yards The short 15th hole has the beach just over the dunes on the left side of the hole. 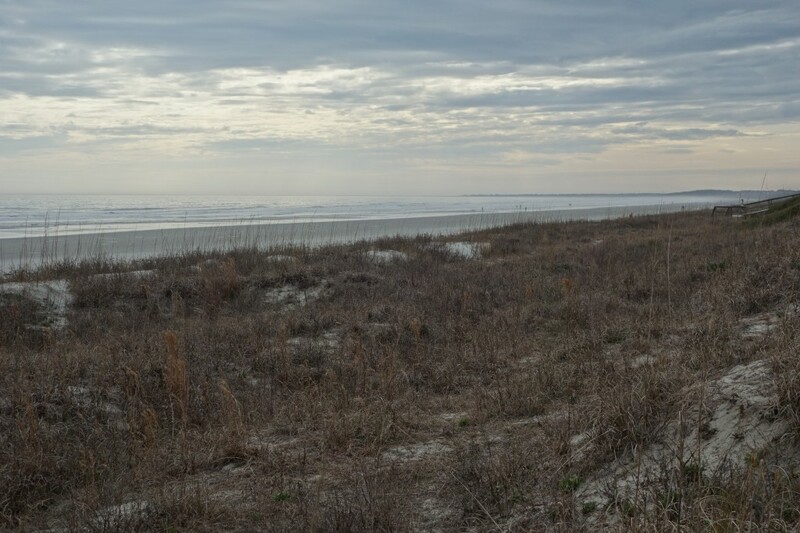 The beach on the left, along with the clausterphobicly close homes on the right make for a stressful tee shot. Even more than that, the close confines make it feel like the hole was barely squeezed into the setback for the beach homes. Hole #16 – 150 yards The views from the 16th green are very nice, and the sloping green partners with the short hole length very well. Again, the homes are very close on the right, but it doesn’t affect the hole nearly as much as the previous par 4. 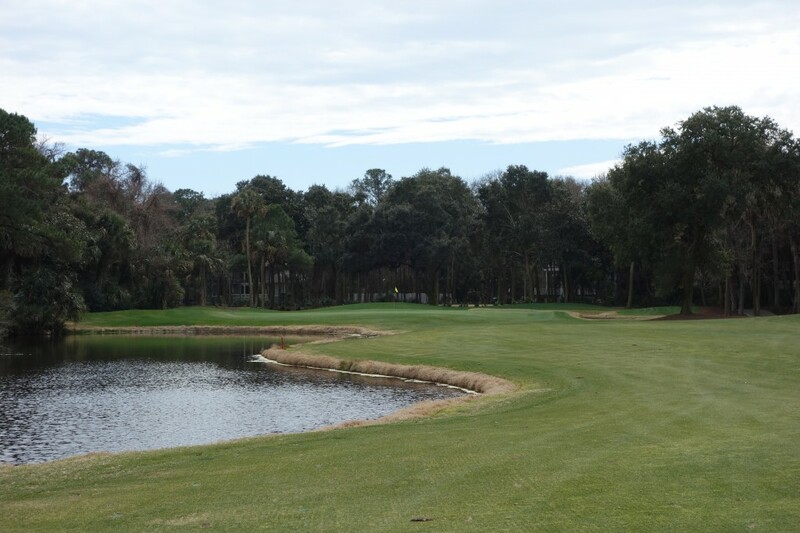 Hole #18 – 400 yards The finishing hole has water down the left side and features a forced carry to one of the larger greens on the course. There is a bailout option right of the green, but it is one of those approaches that begs you to go for it. In honor of Harvey Penick, take dead aim and go for the birdie! 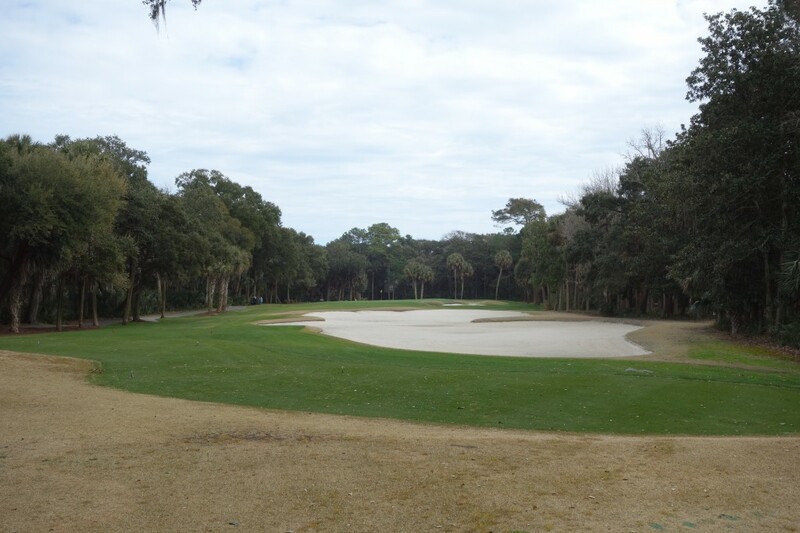 Turtle Point isn’t the best course on Kiawah Island, but to quote from my friend Scott again, it is a pleasant round. 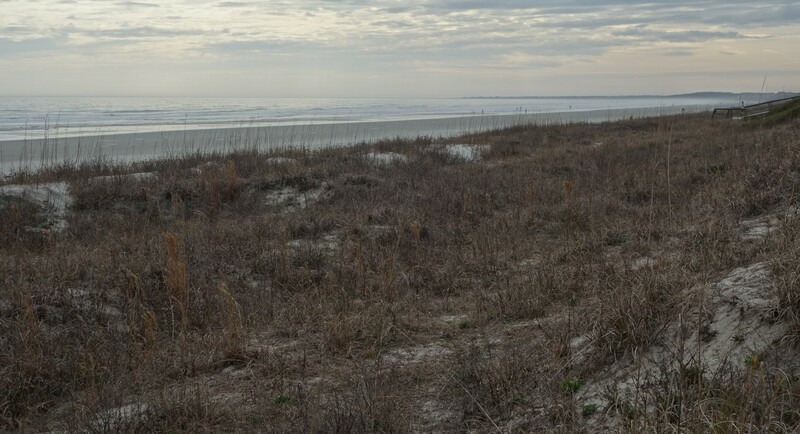 If I was planning a trip to Kiawah, I would secure my tee time at the Ocean Course before adding Turtle to the itinerary. 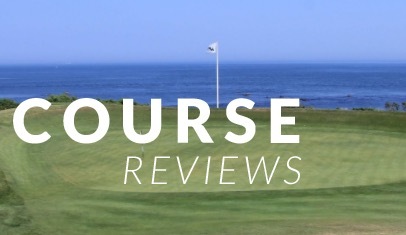 That being said, the price tag of $370+ and a caddie at the Ocean Course may make you think twice about the course selections during your stay.